The transition to a more electrified transportation system – be it the vehicles owned by individual consumers or accessed through ride-sharing, used in commercial or institutional fleets, or deployed for public transportation – offers tremendous benefits to consumers, communities, businesses and society as-a-whole. Whether an individual chooses to purchase an electric vehicle (EV), he or she joins every other American in reaping the rewards – a more efficient and stable grid, a healthier environment, a stronger economy and improved national security. But, achieving these benefits requires investment in foundational infrastructure. Utilities, third parties and policymakers must act collaboratively today to assure that these benefits are realized tomorrow. Using its holistic perspective of the electric system, the GridWise Alliance (GridWise) is publishing this paper to advance the understanding of transportation electrification given the interdependent relationship between consumers, these vehicles, the grid, and charging infrastructure. 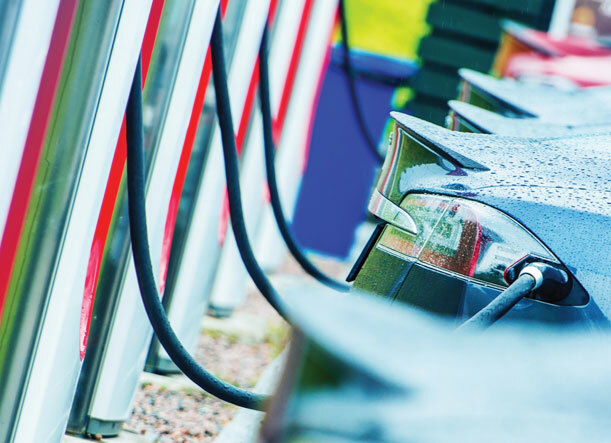 In this paper, GridWise seeks to present some trends, to articulate the range of benefits EVs offer consumers and society, to describe challenges to the rapid adoption of EVs, and to propose possible approaches to overcoming these challenges. Crafting policies and regulations to allow a wide variety of participants – utilities, 3rd party providers and other private/public entities — to deploy, own, and operate charging infrastructure and develop strategies for the management of charging to maximize its benefits. Accelerating transportation electrification in a manner that provides customer value and efficient integration into the energy grid by recognizing that utilities are well-suited to expand electrification across multiple transportation modes and provide a foundational system of charging infrastructure that supports a reliable, consistent, and positive customer experience. Encouraging coordination between utilities, their large customers, OEMs, and 3rd party charging providers to increase and strategically locate charging infrastructure to ensure the siting and design of charging locations does not detract from system reliability, resilience, and security. Supporting the rapid advancement of investment in all levels of EV charging that maximizes customer access by considering incentives, grants and consumer education and rebate programs. Ensuring that changes to the electric system are supported by business model, rate structure, and regulatory reforms that enable utilities and 3rd party providers to own assets and provide services. Incorporating EVs and EV infrastructure in state and community planning for transportation, grid modernization, environmental compliance and the integration of distributed energy resource. Facilitating coordination among all stakeholders to leverage the best practices of integrating and optimizing EV loads into the grid. Supporting a positive and consistent experience for drivers, charging station owners, and network operators by developing an interoperable and open-access system that works regardless of the vehicle type, the equipment type, or the ownership/operation model.